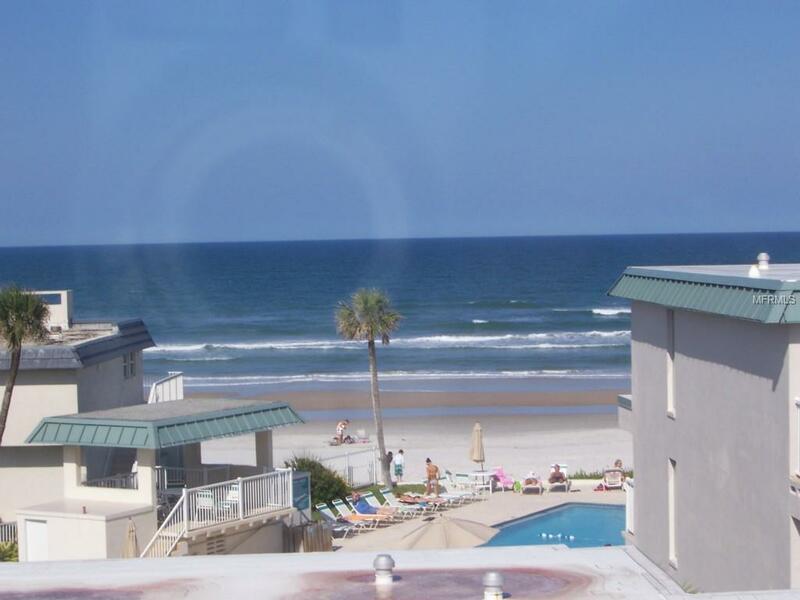 Oceanfront complex on the no-drive portion of pristine New Smyrna Beach! 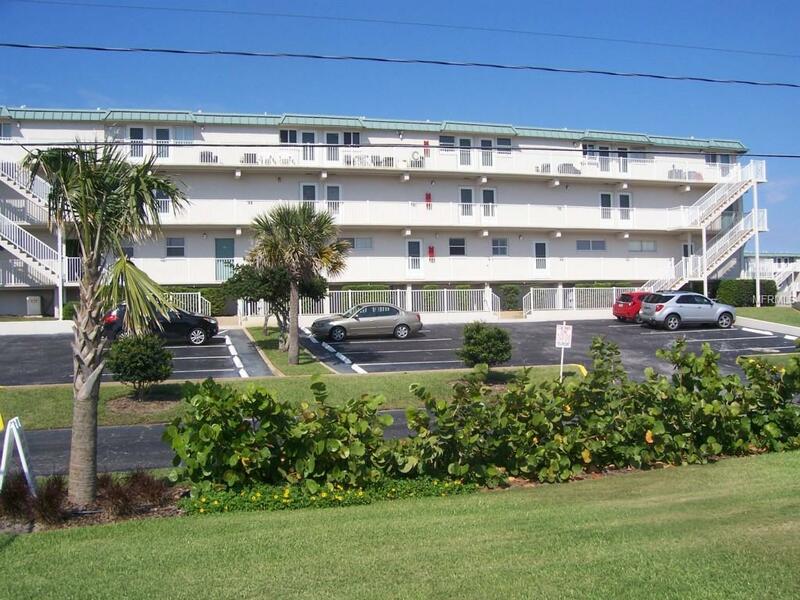 This 2-story townhouse condo is spacious and has ocean views from the living room and master bedroom. The kitchen has panel cabinets and a breakfast bar for convenience. Brand New granite counter tops in kitchen, new drywall, texture and paint where there was no drywall, new paint throughout, new carpet in living room. There is a shower in the entry level bathroom and a tub/shower in the upstairs bathroom. The association fee includes basic cable and water. Pets are allowed for owners and there are no restrictions. Boats and trailers (non-commercial) are allowed on non-peak weekends. 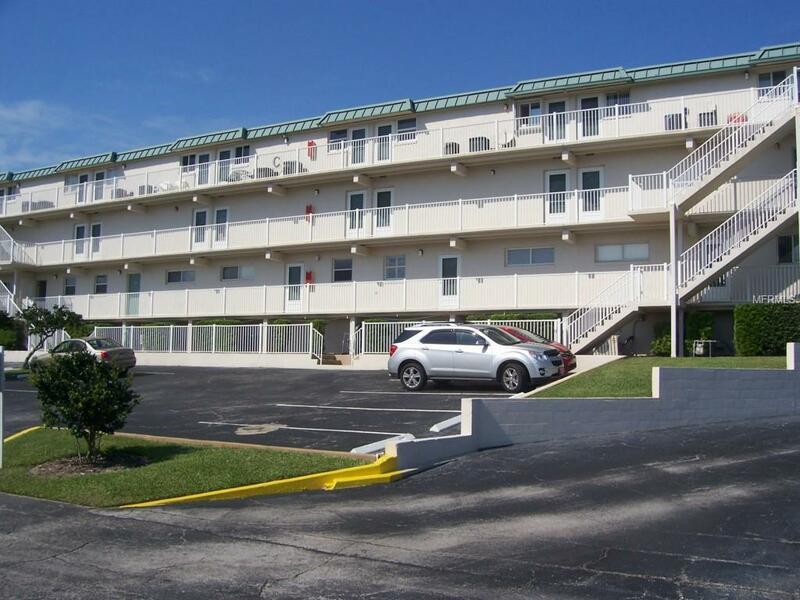 There is a 3-night minimum rental and this condo is a rental property. 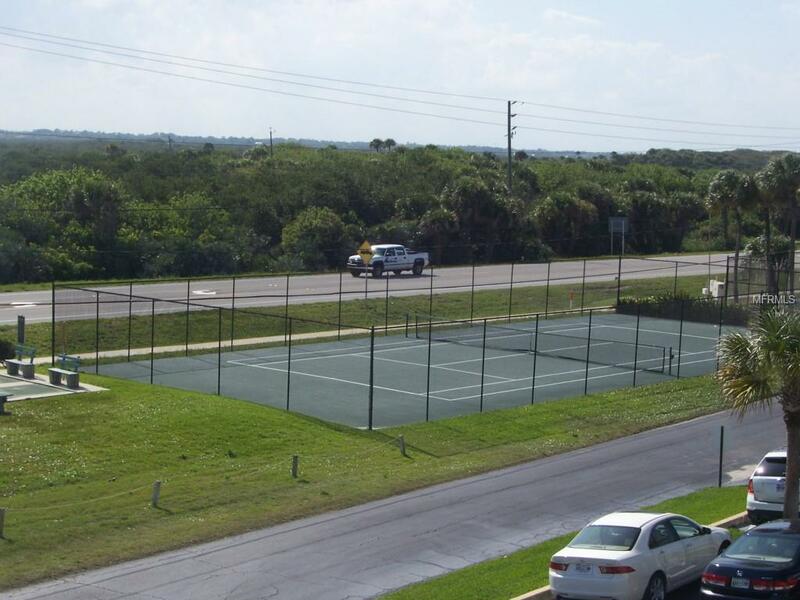 The complex has had major renovations in the past 5 years including roof and mansard repairs, seawall renovations, spalling renovations, new pavers at the pool and new landscaping. There is a laundry room, ice machine and incoming/outgoing mail, rec room with pool table and cable tv, shuffleboard and tennis courts. This could be your piece of paradise! Listing provided courtesy of Coldwell Banker Surfcoast Rlty.